George Nichols was born at Oxford in 1550 and was a student at Brasenose College. After working as Usher (teacher) at St Paul's School in London, in 1853 he was ordained a Roman Catholic priest at Reims in France. He was sent on a Roman Catholic mission the same year and converted many people to the Roman Catholic faith including a convicted highwayman at Oxford. Richard Yaxley was born in Boston, Lincolnshire. In 1585 he too was ordained a Roman Catholic priest at Reims and left for England on 28 January 1585/6. Thomas Belson was born at Brill in Buckinghamshire, and Nichols was his confessor. Humphrey Pritchard was a Welsh servant at the Catherine Wheel Inn. Initially all four were sent to the Bridewell Prison in London, but the two priests were later moved: Nichols to the Tower of London, and Yaxley to the Gatehouse. On 30 June 1589 all four were ordered back from London to Oxford for their trial. The priests were condemned for treason, and the laymen for felony, and they were executed at the Holywell Gallows. 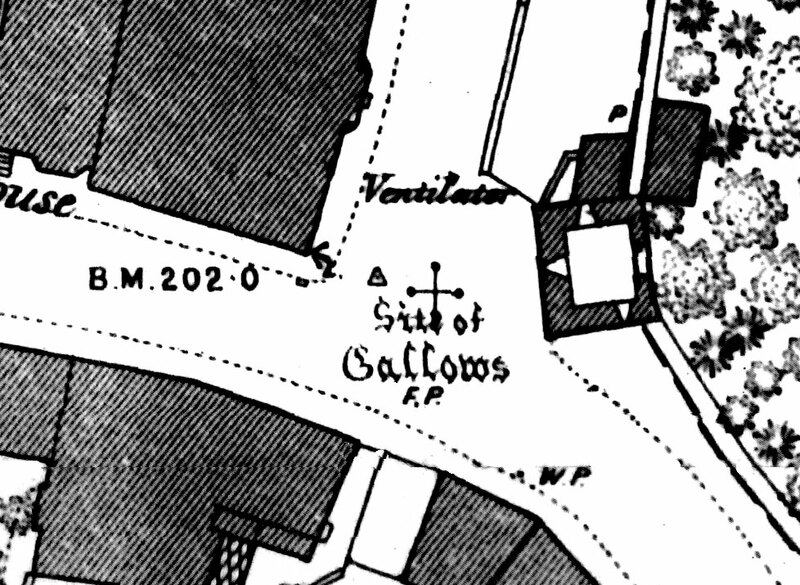 The heads of the priests were set up at Oxford Castle, and their quarters on the four city gates. 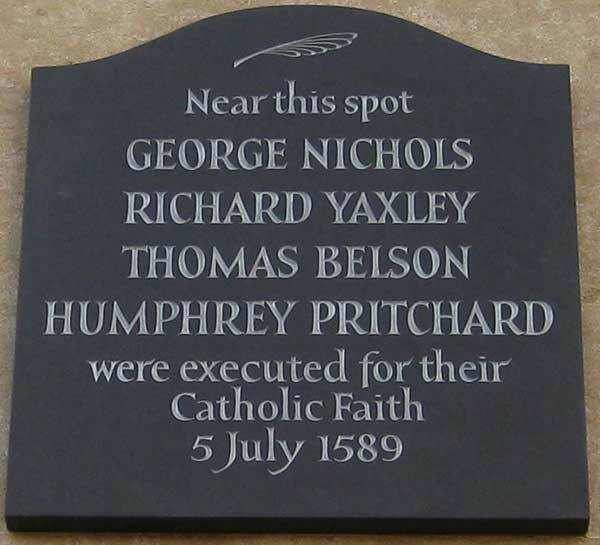 In 1610 another famous Roman Catholic martyr, George Napier, was also executed in Oxford, this time at the Castle Gallows, and he has a separate plaque there.